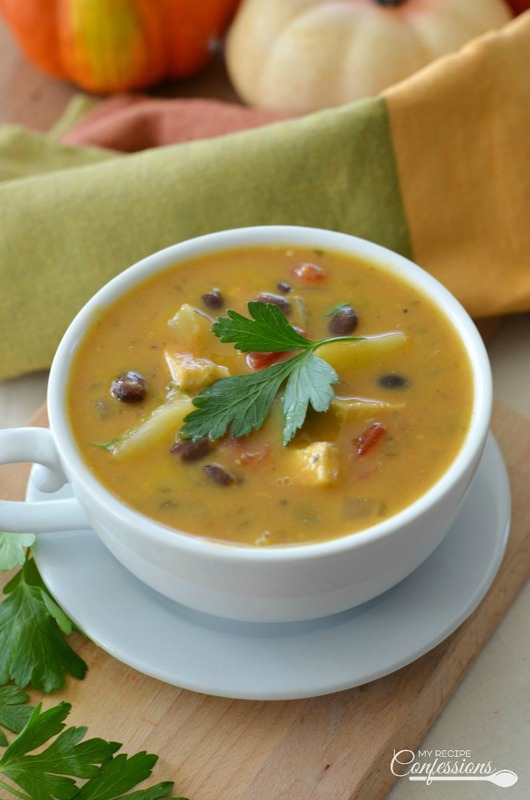 Caribbean Chicken Pumpkin Soup is not like other soups. It is both refreshing and comforting at the same time. 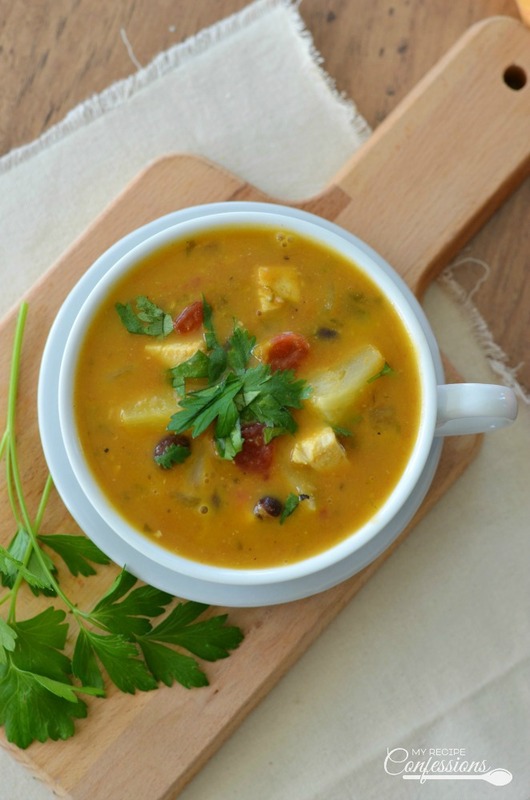 The pineapple and cilantro really help boost the flavor while the coconut, curry, and pumpkin round out the flavors and gives it a nice warm comforting taste. It is everything you could ever want in a soup! Caribbean Chicken Pumpkin Soup is a recipe I got from my genius cousin Erin. 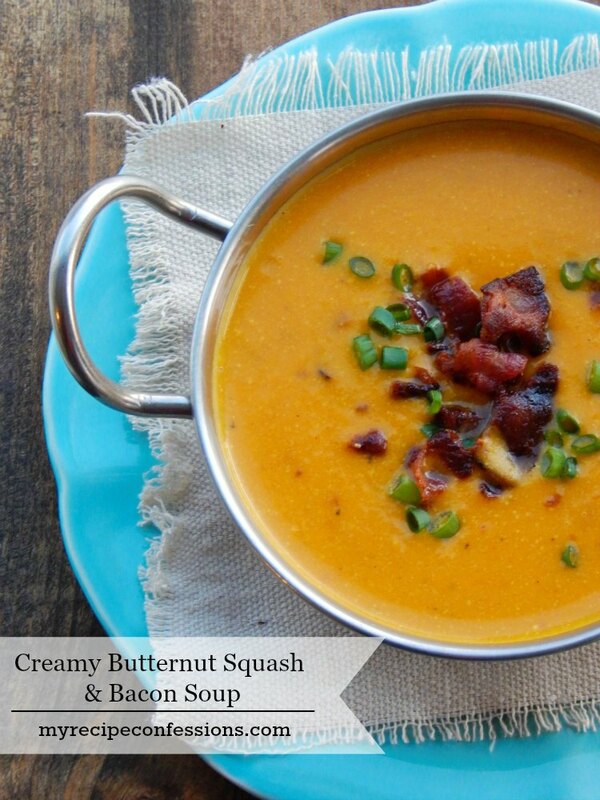 She came up with this recipe after falling in love with a soup at a local restaurant. Wanting to recreate the soup at home, she found a couple of similar versions online and then created her own recipe for this soup. Friends, I made this soup for the first time last night and to say it is amazing is an understatement! 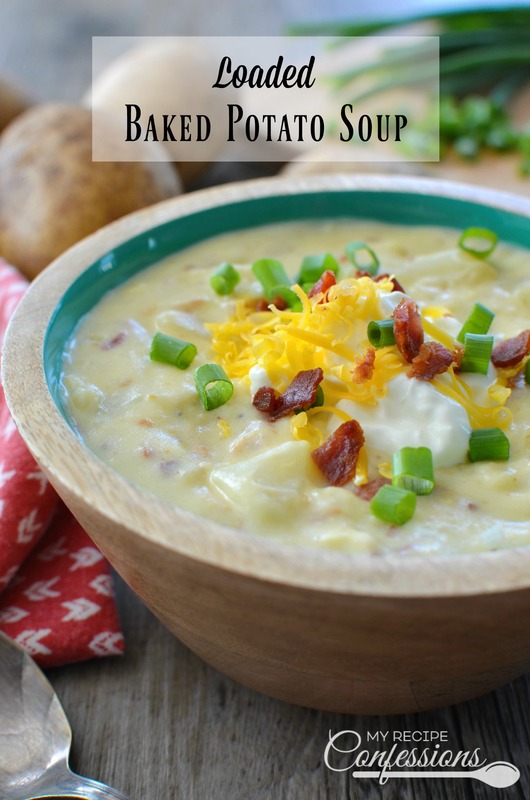 I absolutely love this soup and could not wait to share it with the rest of you. 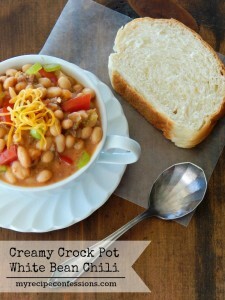 This soup can be made in the crock pot or on the stove top. Erin recommends you garnish the soup with tortilla strips and shredded coconut. Oh man, my mouth is watering already. I might just eat my left over soup for breakfast because I don’t think I can wait until lunch. 1. In a large sauce pan over medium-high heat, saute the onion, bell pepper, and garlic in a the olive oil until the vegetables are tender. 2. Add the remaining ingredients and bring to a boil. Reduce heat to low and simmer the soup for 20 minutes or until it is heated through. Garnish with tortilla strips and shredded coconut. * Crock Pot Version– Follow step one and then transfer the onions, bell peppers, and garlic to a 5 quart crock pot. Stir in the remaining ingredients into the crock pot. Cover and cook on low for 4 to 5 hours, or until heated through. 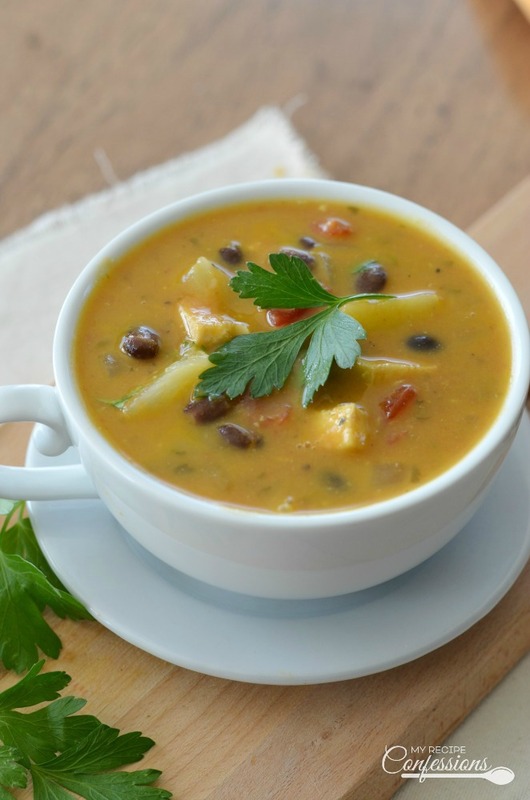 Here are a few other soup recipes you should try. Carrie, thank you for another soup recipe! It sounds delicious and refreshing. I’m excited to make it. You are so sweet! I am so glad that you enjoy my recipes. I can’t wait to for you to try this soup, it is delicious! Looks delicious! I can’t wait to try it! Once it cools down a little I will have to make it. I know you will love it! I think the hubby is going to love it as well!